You may create a key within the portal. Each key will contain various information such as Key Code, Key Type, Inventory, Building, Rooms, etc. Also, you can add rooms to the key later. Follow the steps below. You may add, edit, or remove the storage locations for the organization. Note: Storage locations created can be assigned to keys at the time of creation, or on existing keys by going to the key page, then clicking Edit > Key Information. 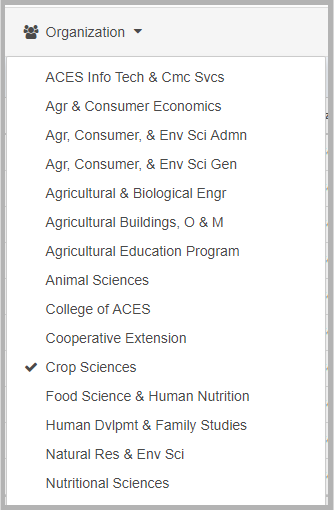 If you are a Keys manager for more than one organization, you will see all of the organizations you are able to manage in this dropdown. Most of the time, you will only see one. Changing the organization here allows you to choose which organization's keys and storage locations you are currently managing.